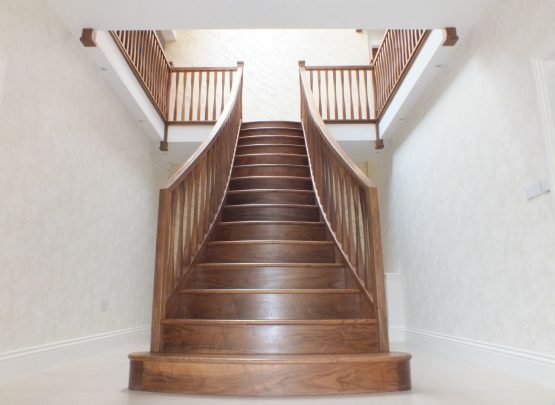 One of the things that our customers look for is a staircase that can stand out from their home, making sure that it turns into the feature in their hallway. 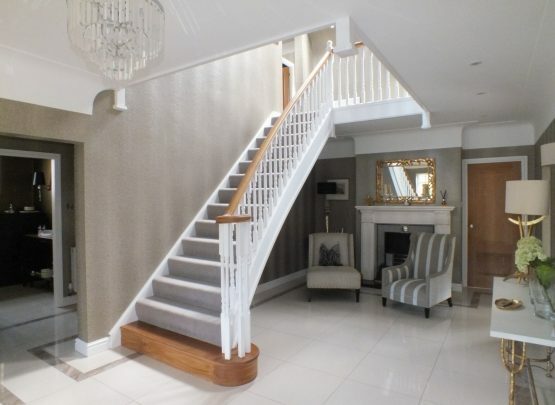 However, trying to create this can be quite a difficult task, as the balance between having something that stands out, whilst not going over the top, making your stairs look out of place, can be difficult. However, the are some techniques that can give your staircase that feature. One of the easiest ways to create a statement with a staircase is to use two different colours and create contrast. Contrasting colours draws the eye, especially if one of the colours Is white or similar giving the opposing colour freedom to take centre stage. This theme is extended as if you use wait or a matt colour with a timber, oak ash walnut, the timber stands out even more, accentuating the grain. The beginning of a staircase is the most important part as it is the main element that people see when they walk in. 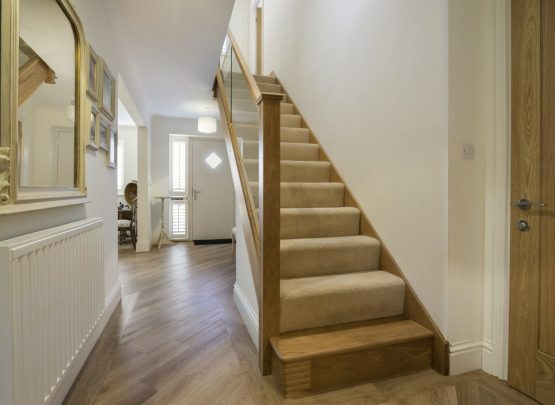 on the majority of stairs that we manufacture will have a feature step, either a bullnose or curtail step (hyperlink) or both, this makes the first part of the stairs seem more inviting and can improve flow around the property (hyperlink to flow blog). One of the elements of a staircase that people don’t use to create a feature out of their staircase is having a feature newel. The first newel of a staircase can be altered in a few different ways to make it a feature. The first newel can be made bigger, for example if the majority of the newels on your staircase are 90 x 90 then making the first newel 120 x 120 will make it stand out. There are other ways to make the first newel stand out but this is the easiest and most efficient.